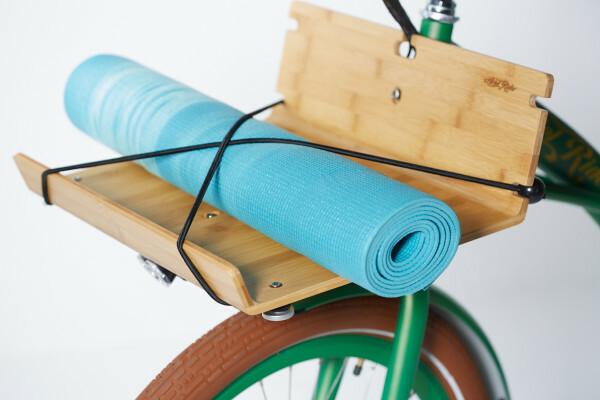 Occasional and Frequent Bike – Design Milk suggestion?? 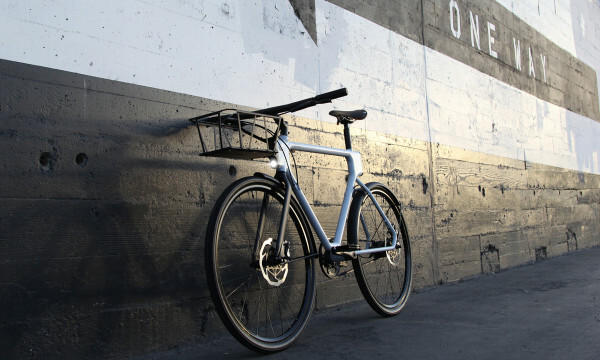 Whatever your commute needs are, the C-Class bike from Ariel Rider was designed for you. 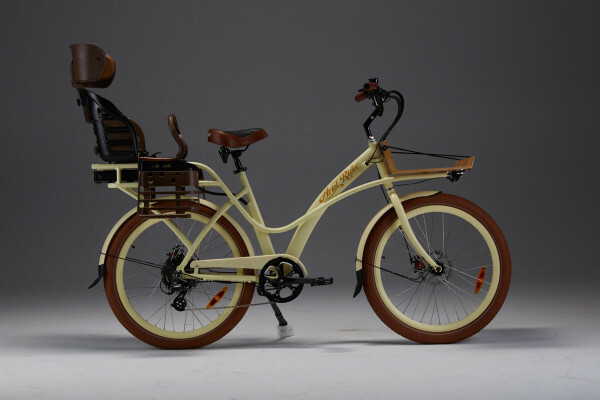 Blending the features found in a city bike and cargo bike, the bicycle is meant for city commuters and their various needs. In fact, the C in C-Class stands for city. 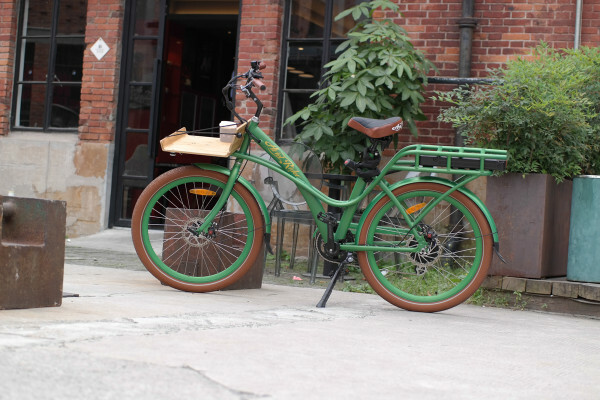 The bike itself is not as heavy-duty as a cargo bike, but can carry an additional 300lbs excluding the rider. 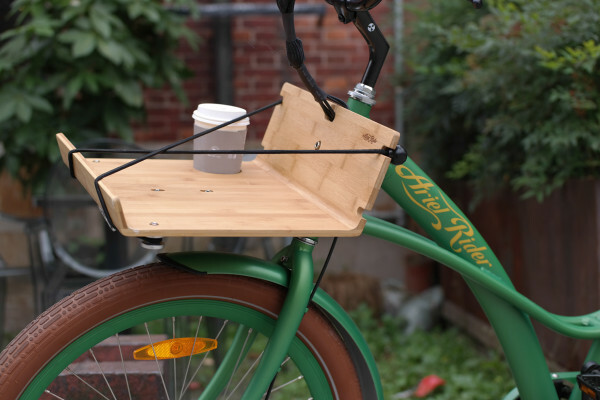 It has plenty of storage solutions, from a front rack that can carry items from pizza to a bag, and it even comes with a little cup holder for your coffee. 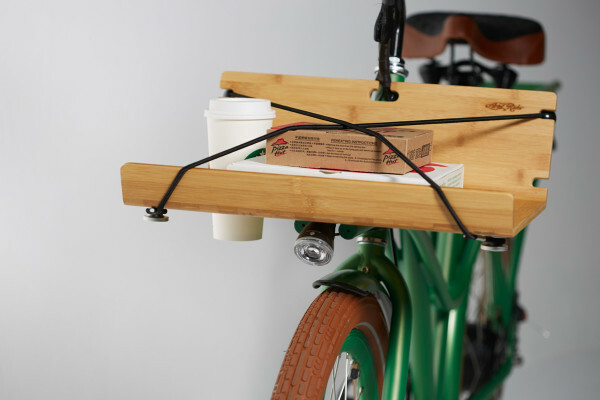 The items are secured by elastic cords onto the bamboo carrying tray. 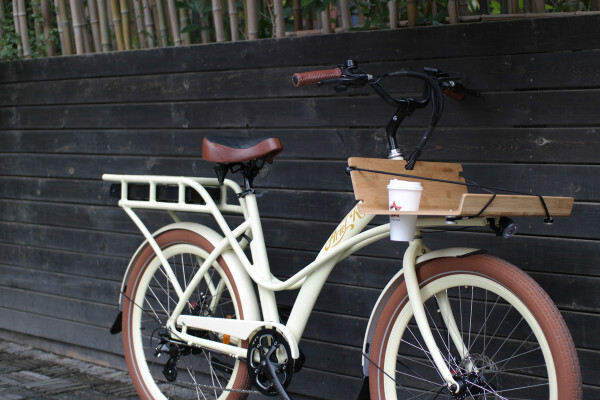 The bike is also perfect for seasoned bikers, and those who are a little rusty as well. 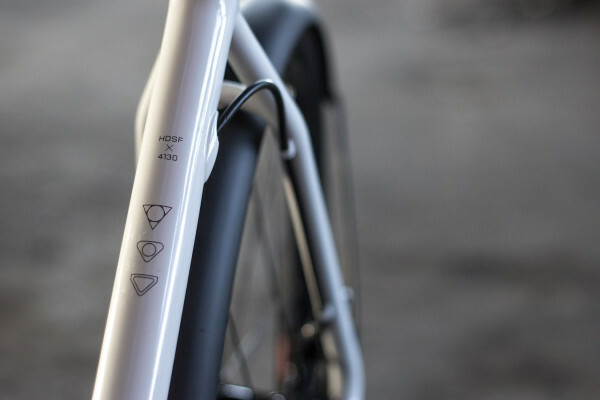 Its power on demand system (POD) provides an extra boost when needed, which is especially helpful when biking up steep hills. 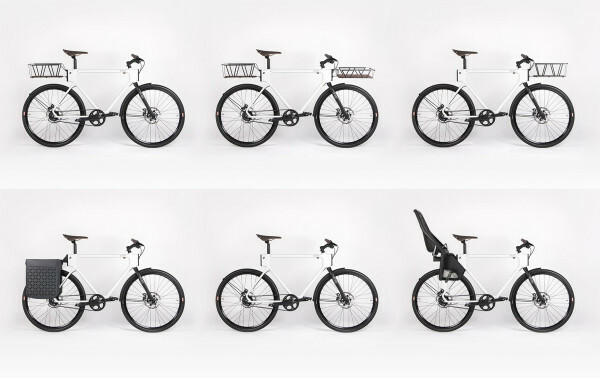 Author richdirectorPosted on November 17, 2015 November 17, 2015 Categories bikes and cycling, Equipment & Reviews, Uncategorized, utility bikeTags Ariel Rider, bike, cargo bike, commuting, electric, utility bikeLeave a comment on Occasional and Frequent Bike – Design Milk suggestion?? 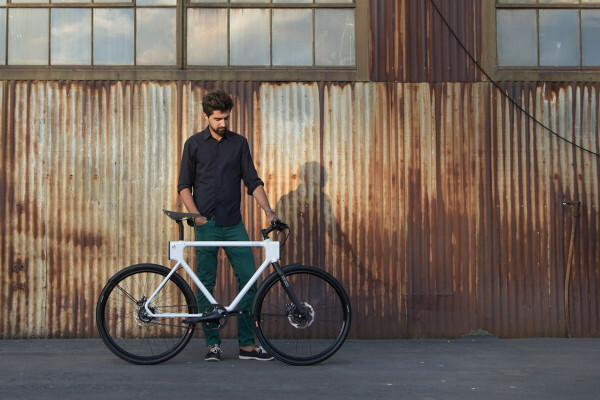 ​HUGE Design, a product design consultancy in San Francisco, teamed up with a local bike builder to create the ultimate utility bike for the 2014 Oregon Manifest bike design competition. 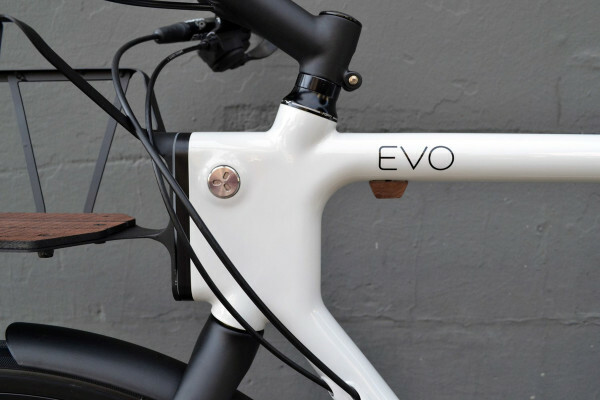 The result was EVO Urban Utility Bike, a hybrid bicycle with a modular accessory platform that helps the bike adapt to the user’s needs. When analyzing the current needs of city dwellers, they realized that the one consistent thing that was missing was, well, consistency. 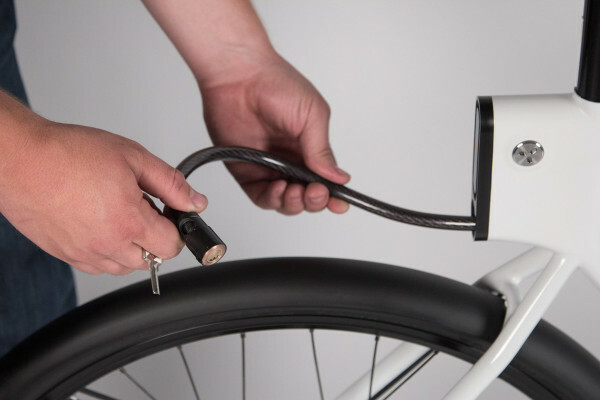 Not only does every biker have different needs, even these needs change throughout the week. 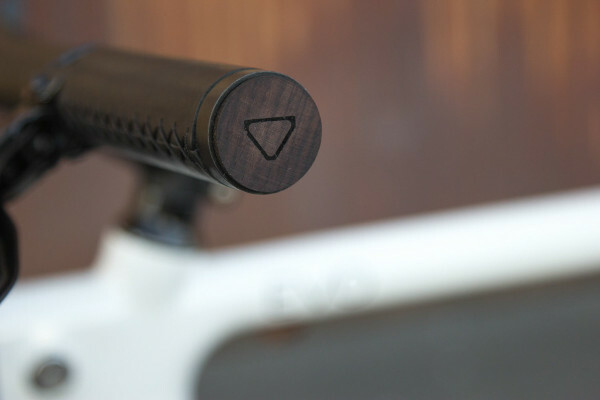 It is this inconsistency that inspired them to build the EVO. 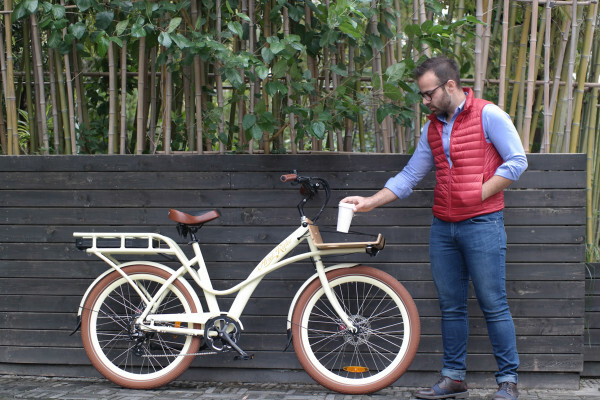 The EVO Urban Utility bike combines the robust nature of a mountain bike with the functionality of a city bike to match the different city environments. 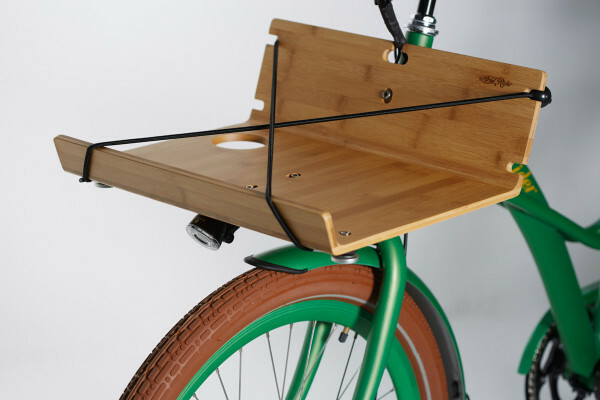 It has easily detachable cargo accessories that are attached through quick-connect mounts that quickly lock into the frame, or are removed when not needed. 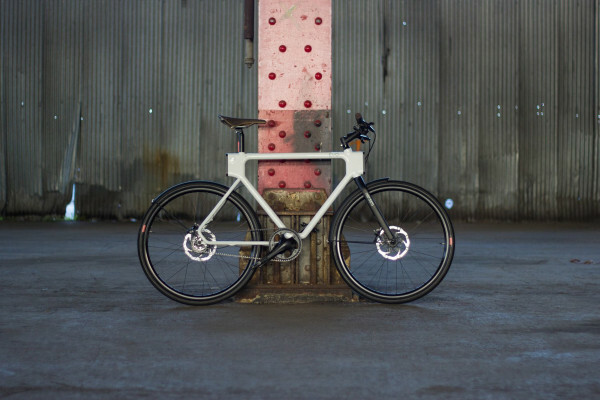 The bike also has an asymmetrical frame that supports holding heavy loads in both the front and back of the bike. That “truss” frame geometry is functional and iconic, while also simplifying the welding and time for production. 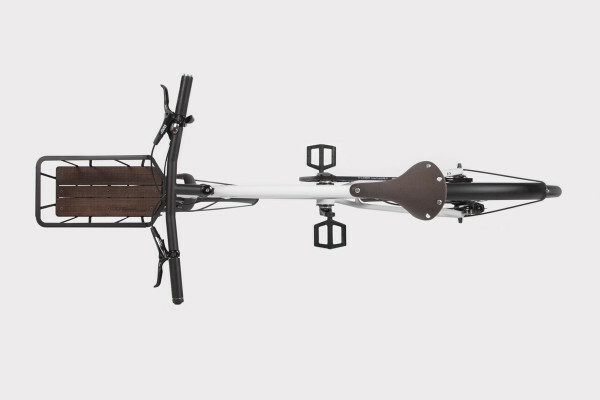 EVO Urban Utility Bike also has a front fork lockout, making it easy to lean against the wall when loading and unloading. 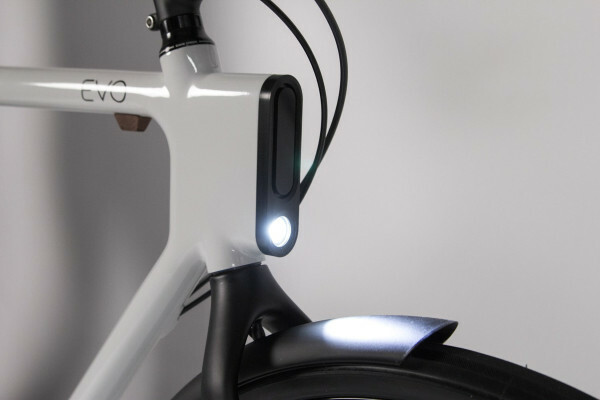 For safe night riding, it has front and back lighting systems, as well an integrated frame cable lock. We are sad to report that our John Boultbee Patented Drool-ometer took its final tour of active duty last weekend in the West Country. 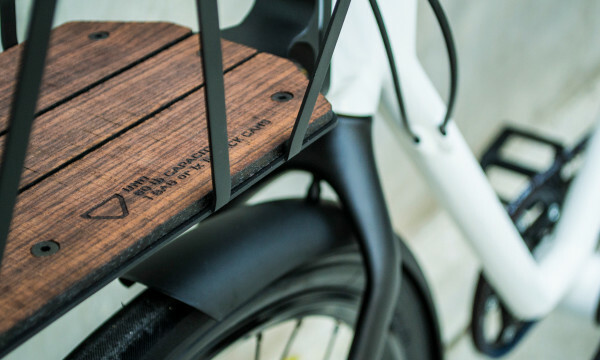 It sustained irreparable damage, and succumbed to its injuries shortly after Dan Titchmarsh rolled in to Brunel’s Old Station from York on his Titchmarsh Scorpion Cargo Bike. The Drool-ometer’s fuses quickly blew and its transistors did duly melt, while the needle repeatedly pounded against the housing wall in an apparent attempt to denote a new upper limit for Drool, ultimately snapping completely from its axis. 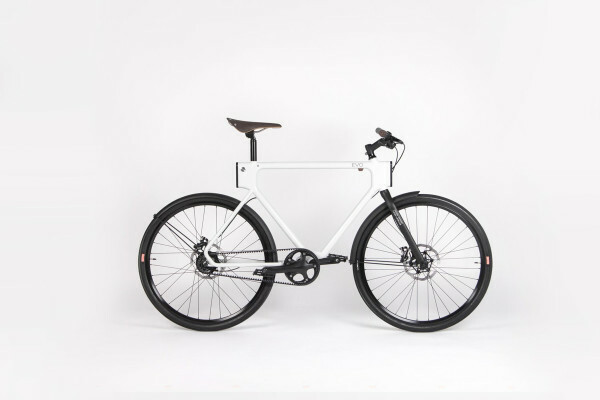 This is all by way of saying that Dan and his bike were the unsurprising winners in one of several prize categories that Brooks sponsored at this year’s Bespoked Bristol. 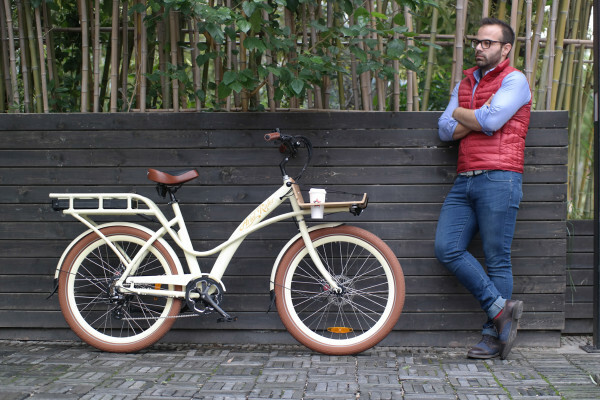 Since its first instalment in 2011, Bespoked has quickly become a popular fixture on the European circuit of boutique bicycle shows. With an always thoughtful roster of exhibitors, it allows a handful of the bigger industry names to rub shoulders with a host of markedly less global operations. Party at the front, business at the back? Or vice versa? Or both? 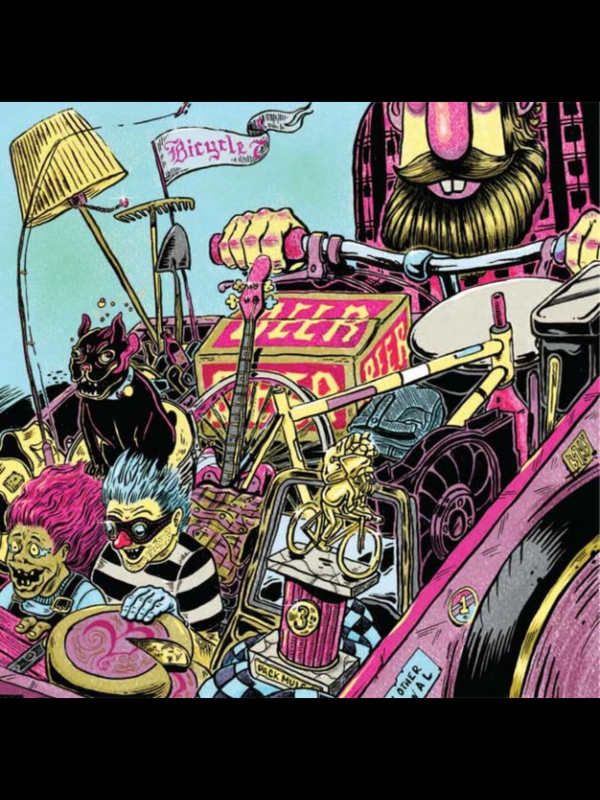 The emphasis is decidedly on the independent, though, and the show draws crowds who are pathologically keen to talk at length with builders and designers on the finer points of lugging and brazing, geometries and materials, paintjobs and pricing, tax returns… no subject is off limits. 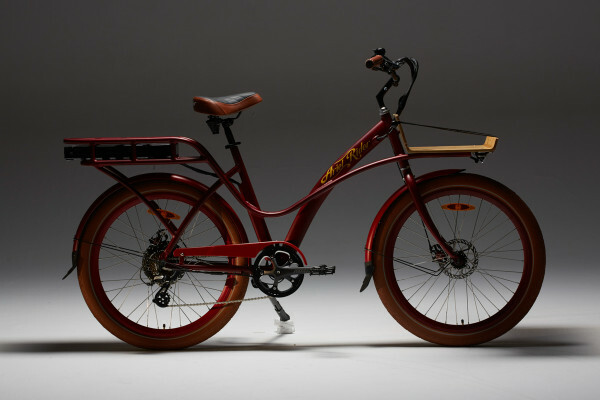 In these respects and others, it bears much resemblance with the North American Handmade Bicycle Show, and as we asserted in a piece for this year’s Brooks Bugle, Bespoked seems well on the way to emulating its Transatlantic counterpart as a Centre of Excellence in all things two-wheeled and human-powered. We once again took a stand ourselves this time out, and as mentioned, were also involved in the competitive end of things. 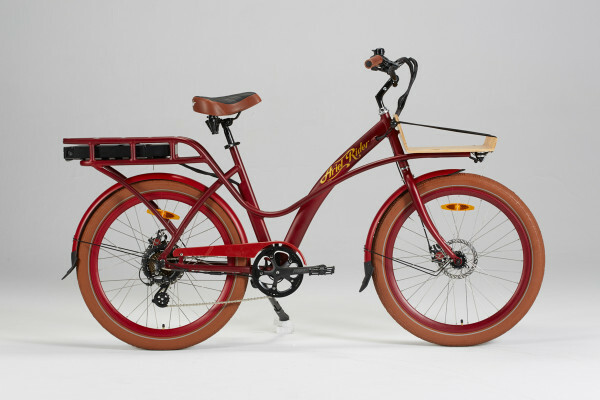 Brooks was happy to sponsor prizes in several categories at Bespoked this year. The award for Innovation in Product and Design went to the above mentioned Titchmarsh Scorpion. This is high-end, hand-built haulage, and has understandably been priced as such. 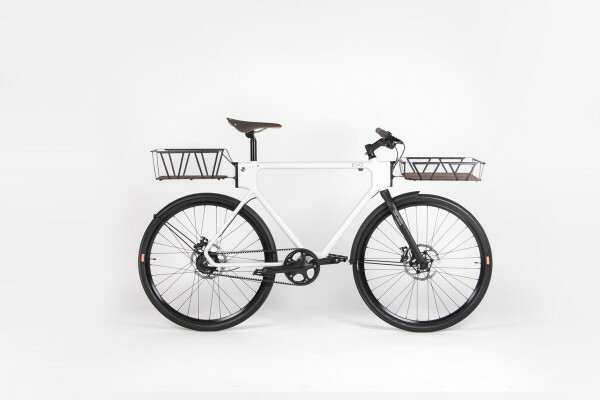 “This was the bike I wanted to build”, the ex-courier tells us of his prototype steel-tubed load hauler. Tipping the scales at a relatively meagre 22kg, and still with ample opportunity to shave off a few pounds before it goes into full production, his Scorpion can be described as the culmination of 12 years of R&D, the final touches having been applied mere hours before the doors opened in Bristol last weekend. 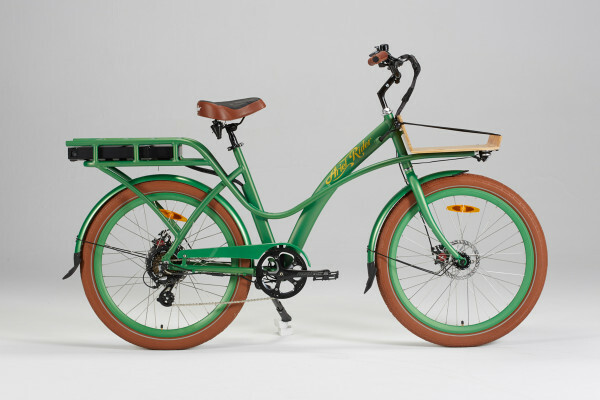 The Scorpion differs from most other two-wheeled cargo bikes in its use of a hub centre steering system, as opposed to the standard solution of a single-sided steering shaft running the entire length of the loading area’s underside. Still with us? For readers who wish to go deeper, Dan explains in some detail on his website the rationale and execution of this move. 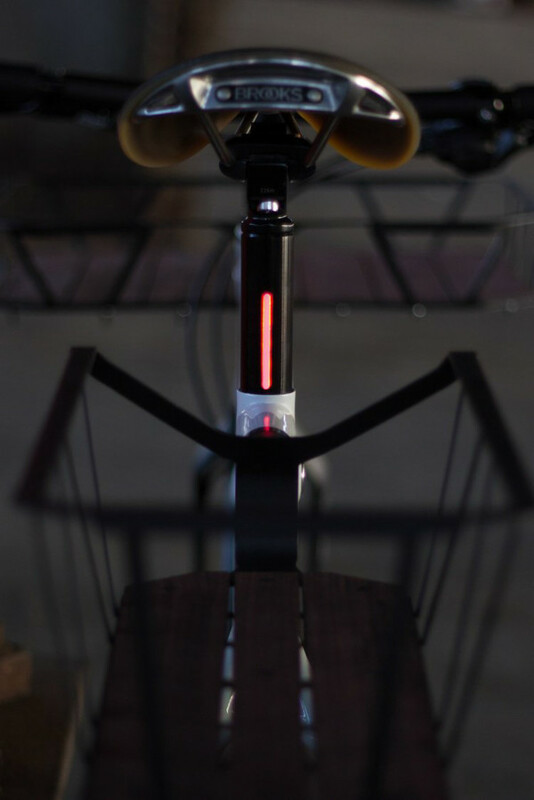 One place where he fortunately refused to deviate from tradition, however, is up on top of the seatpost. He took a Titanium Team Pro to finish things off, as will hopefully his drooling line of customers, who are already waiting for him to complete an initial short-run batch of production models. 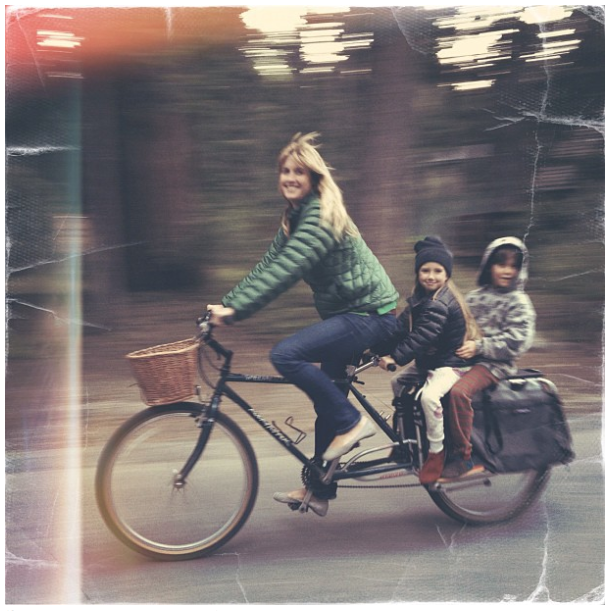 Here and elsewhere, Brooks has frequently celebrated the Cargo Bike’s resurgence outside of its traditional Scandinavian strongholds, so we hereby extend our warmest congratulations again to Dan on a fine job of work, and on being the recipient of our Brooks Innovation Award at Bespoked 2013. 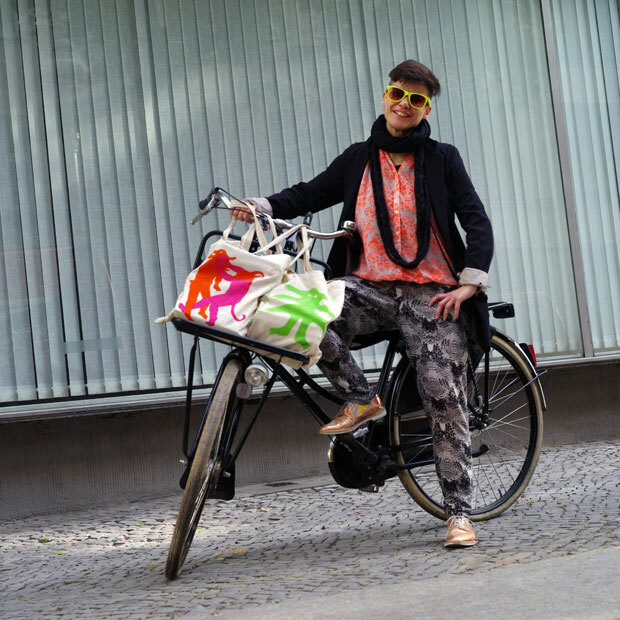 Another film in the series of portraits about Danish Cycling Pioneers from Bicycle Innovation Lab in Copenhagen. 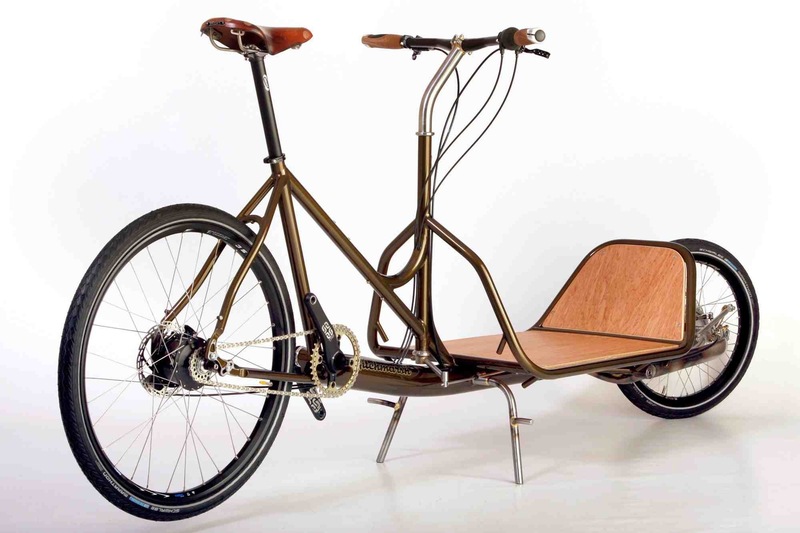 Larry vs Harry – Lars Malmborg & Hans Bullitt Fogh are the designers of the iconic Bullitt cargo bike.